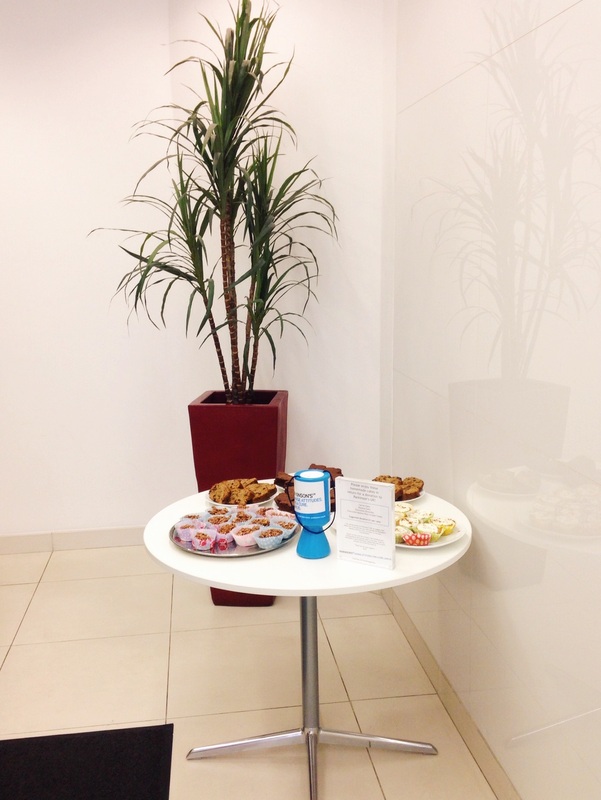 For my first fundraising event I thought it best to start off small with a cake sale for my my office and the other companies in the building. So after two evenings of baking I rocked up at work armed with banana cake, chocolate brownies, chocolate marshmallow rice crispie cakes and my signature carrot cake, only slightly squashed from the tupperware and tube journey. 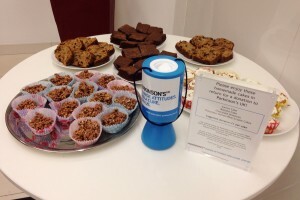 Based on the number of cakes I had I’d hoped to raise around £50, so was pleased to find when I counted up the donations that it totalled £73.28. 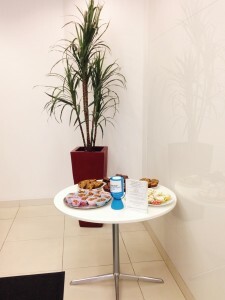 I used the “honesty box” method and left the cakes in the foyer over lunchtime with a sign and a Parkinson’s UK donation box, under the watchful eye of the building’s concierge. Hopefully I’ll be able to do this again over the next few months as there’s no shortage of cake fans around! This entry was posted in Fundraising and tagged cakesale, fundraisingevent on February 8, 2015 by anniemaggiemay.